Today every industry is looking forward to ‘disrupt’. No longer satisfied with merely growing sustainably, organizations today seek to challenge the status quo. And they seek to do it often. Can you blame them? 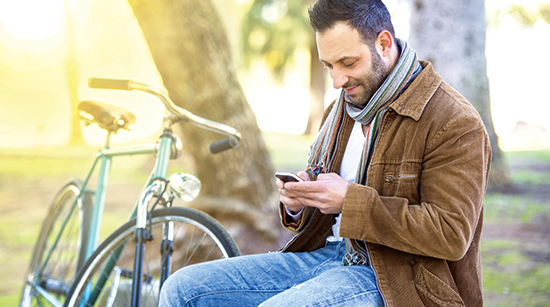 Rapidly evolving customer behaviour is the trajectory along with which businesses need to move. Competition is fierce and customers are not a forgiving lot. Research shows that a shocking 50% of customers stopped doing business with a company immediately after one bad sales/marketing experience, 25% aired their grievances on social media and 54% turned to competitors. Today’s customer may be fickle but is also extremely well-informed, agile and technologically-forward. She is hooked online, and flits across devices, creating a complex web of multiple online and offline journeys. So how do businesses keep up? By implementing advanced technologies that track a customer’s digital behaviour across channels and platforms, obviously! As a next step, marketers across the world use this customer data to create marketing strategies that are personalised to each finicky customer. Then, to gauge the effectiveness and the ROI of their marketing activities, they just hire another bunch of experts to track the relevant data. Sounds simple, right? An explosion of data from all channels, and no clear way to make sense of it. Lack of a unified view of your data on a single platform that allows you to view, analyse and act on the disparate data sets from multiple vendors. Disjointed (and often futile) marketing efforts to tackle varied ‘pain points’ as diverse as e-mail/SMS link open rates, real-time reach, dormant behaviour, cart abandonment rates, etc. with no clear direction on each. Mounting challenges in accurately mapping your customers’ ‘omni-channel hop’ to enable a positive customer experience. Rising acquisition and vendor costs that are not translating into higher conversions or CLV. The result: Poor customer experiences that tell our customers that we aren’t really ‘listening’. Every hurdle is an opportunity in disguise. And pain points are potential opportunities for us to innovate and grow. We all know that a ‘customer-first’ mindset is no longer optional. We also know that a flurry of marketing activity without any clear idea of its performance and whether it’s yielding the desired result, is just a shot in the dark. A marketing report from 2016 found that the number one challenge for marketers was having multiple systems that capture and measure data. The marketers were left struggling to reconcile their different sources of data and faced with the looming costs and coordination issues that came from dealing with several vendors. The only logical solution is a 360-degree user view of a customer’s buying journey that includes an analysis of your marketing spend. A single source of truth, therefore, in its deepest sense, is a platform that unites customer transactional analytics with marketing analytics. To build a unified view of your data, marketers need to first gain access to the right type of data. Channel data needs to be transformed into the right quality and state of readiness for it to be consumed. A data integration specialist needs to convert channel data from the marketing ecosystem into summary-level data sets. This specialised task is best handled by a quality data integration service provider, in case the in-house team is unable to. These summary data sets are then linked to a marketing automation solution to gain key insights about customer behaviour through customer data collection for a single view. With this, marketers have a unified view of data that can be used for analytics, segmentation, etc., and are a key step towards personalised and powerful communication. The key is to keep the tools of the trade, simple. Marketers that gain the unified view of the customer as a ‘hygiene’ to map their cross-channel journey, are clearly on their way to building a robust engagement strategy with the customer data management. This single customer view serves as the one-stop platform that showcases every action of the customer. When this is combined with marketing performance analytics, marketers gain a 360-degree customer view with unprecedented access to customer actions and the relative performance of their marketing activities. Today, more than ever before, marketing teams are directly responsible for company revenues and are answerable for the same. A CMO’s job has become significantly more complex as a marketing department’s performance is linked to revenue-based targets and leads. It is critical, therefore, for organizations to migrate to a model that maximizes productivity and efficiency by creating a unified view of the customer. They can achieve this by streamlining processes and consolidating solutions to a few, or if possible, a single vendor, who does it all with ease. With lesser cooks to spoil the broth, it becomes easier to integrate disparate data sets seamlessly so that marketing teams are presented with data-driven insights in a way that is quick, easy to understand, and easy to act on. Here, building customer data platforms for a unified customer view becomes a key differentiator for an organization. Once the data is centralized as a single point of truth, analytics show the way with the best course of action. Broadly speaking, customer analytics, which is nothing but a customer’s behavioural map and marketing analytics, which reveals insights on the performance of marketing activities, can be combined to form an integrated, all-encompassing marketing solution. Marketers can then rely on this system to tackle issues like reducing their churn rate and increasing cross-sell opportunities, at an optimised cost. As businesses increasingly turn to simplified and results-based solutions, an end-to-end, omnichannel automation and analytics tool, will be heaven-sent. The article was originally published on the Netcore Blog. Republished with permission. 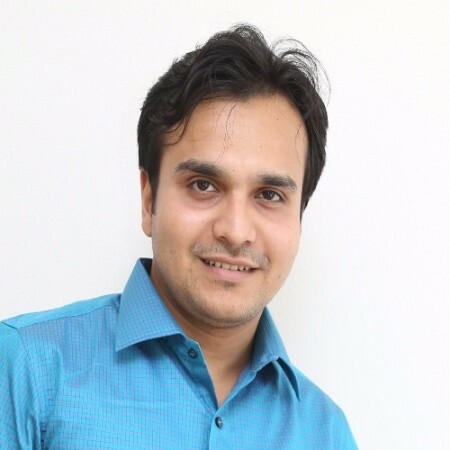 Kunal heads Customer & Marketing Analytics at Netcore Solutions. How Customer Feedback Inspired A Marketing Workshop As A Part Of Million Install Meetup!